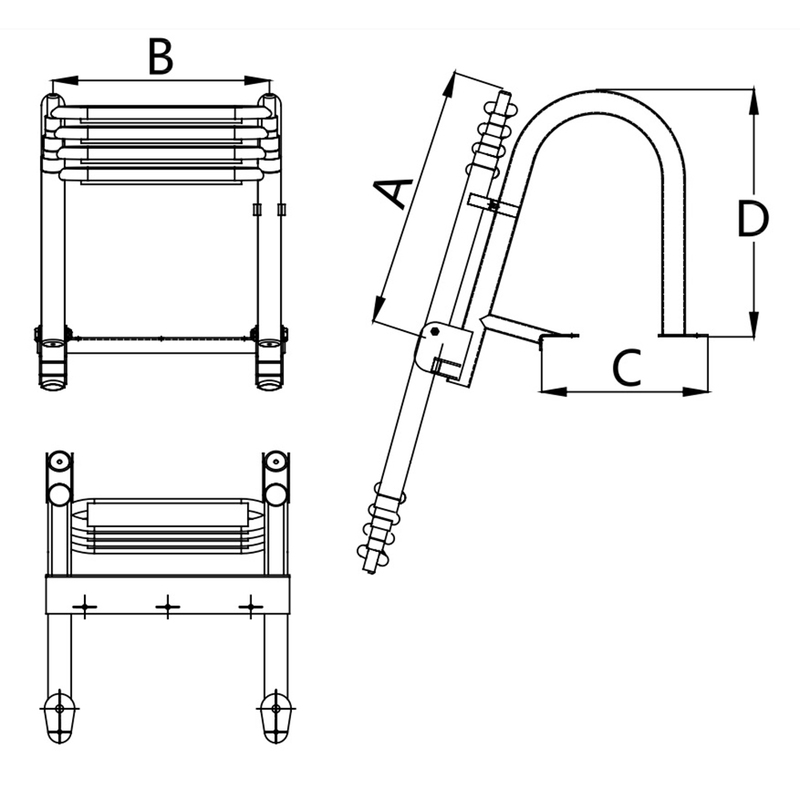 Replace your old aluminum pontoon boat ladder with a new stainless pontoon ladder. 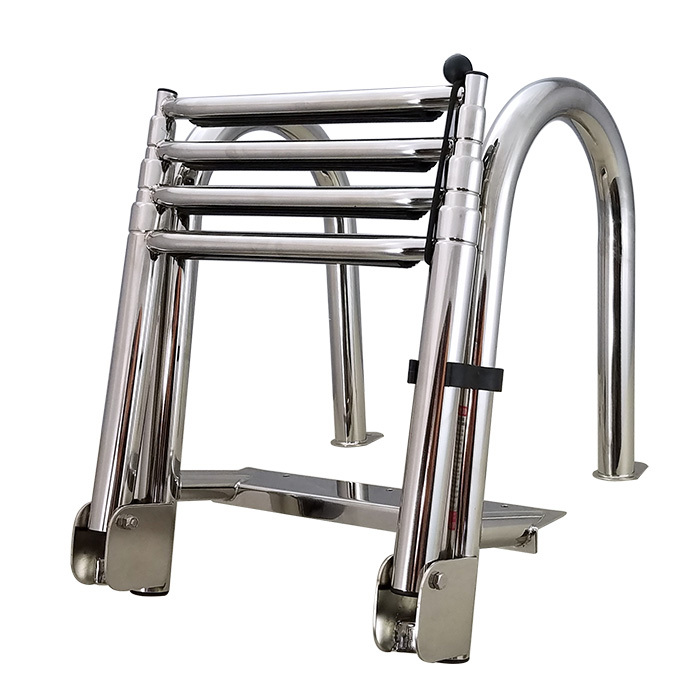 White Water B00351PL-WS Stainless Folding Rear Entry Pontoon Boat Ladder with extra wide telescoping steps for more ease when boarding. Strong handrails for easy boarding. Steps Telescope Closed, Flips Up For Easy Storage. Made with Marine Grade 304 SS. Grade 304 polished stainless steel with black hard plastic textured grips, this ladder features both a fold up/down and telescoping mechanism. Installation hardware is not included. No more struggling to climb out of the water with this amazing ladder.